Many popular beliefs about second language acquisition are perpetuated in our society. The following statements are related to six key concepts of second-language acquisition. Check the ones you think are true. □ My newcomer should be referred to the child study team. He is often disruptive in the classroom and kicks and hits other children. There is something wrong with him aside from not knowing the language. 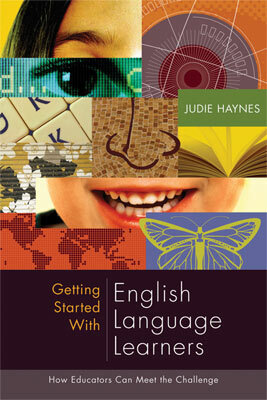 □ The more time students spend soaking up English in the mainstream classroom, the faster they will learn the language. □ Children who have the ability to memorize grammar rules and complete pages of grammar drills will learn to speak and write English more quickly. □ Children learn a second language faster and more easily than teenagers and adults do. □ The emotional state of the learner doesn't interfere with the acquisition of a new language. As long as English language learners (ELLs) receive instruction from classroom teachers, they will learn English. □ Students should be strongly encouraged to speak English from the first day. Did you guess that all the above statements are false? To provide a successful learning environment for English language learners, classroom teachers and administrators need to understand six essential concepts that are directly related to the statements listed above: culture shock, comprehensible input and output, language acquisition versus language learning, the optimum age for learning a second language, the affective filter, and the silent period. As we explore these concepts, we will also look at classroom scenarios that exemplify each belief. True or False?My newcomer should be referred to the child study team. He is often disruptive in the classroom and kicks and hits the other children. There is something wrong with him aside from not knowing the language.FALSE. Newcomers who act out in the classroom are most likely suffering from culture shock. Anthropologist Kalvero Oberg first used the term “culture shock” in 1960 to describe the feelings that people have when they move to an unfamiliar culture. What does culture shock look like in immigrant children? They may become withdrawn and passive or they may be more aggressive. The greater the difference between the student's new culture and the student's primary culture, the greater the shock (Levine & Adelman, 1993). Newcomers have usually left behind family members, friends, teachers, and pets. They are no longer surrounded by a familiar language and culture. Children often do not have the full support of their parents because the parents are experiencing culture shock, too. In the following example, Eduardo, an ELL from Mexico, shows his frustration with his new environment. → Eduardo, who is a Mexican newcomer at his elementary school, hits and kicks his classmates. He is frustrated and cries easily. One day, the only other Spanish-speaking student in his class was absent and Eduardo couldn't communicate at all. He threw himself on the floor and screamed. His anger and unhappiness were apparent. His teacher feels that there is something wrong with him beyond the language barrier. While Eduardo was very affected by his new environment, every child reacts differently to moving to a new place. Most English language learners go through four stages of culture shock before they become comfortable with their new language. Euphoric or Honeymoon Stage. During this stage, newcomers are excited about their new lives. Everything is wonderful and they are having a great time learning about their environment. Rejection Stage. At this stage, the differences between the new culture and the old one become more apparent to newcomers. They reject their new surroundings because there is so much that they do not understand. ELLs can feel overwhelmed and may seem sleepy, irritable, uninterested, or depressed. Students at the rejection stage may refuse to learn the new language. Some students may become aggressive and act out their frustrations like the students in the next example. → Ilya, a 10-year-old boy from Russia, clings to his mother's car door and screams when she drops him off at school. Eight-year-old Amir from Lebanon gets sick every day before lunch and has to go home. Rosa, a six-year-old from Puerto Rico, runs wild in her 1st grade classroom because she doesn't understand the classroom rules and expectations. Regression Stage. English language learners are frustrated because they cannot communicate and are bombarded with unfamiliar surroundings, unreadable social signals, and an unrelenting barrage of new sounds. They are homesick and miss their family, friends, and familiar sights and sounds. They spend their leisure time socializing with friends who speak the same language or listening to music and watching videos from their home country. Teenage newcomers often feel angry and helpless because they have had no say in their families' move to the United States. They have lost control of their environment because they don't speak English. Student essays give us a further glimpse of how newcomers feel when they first come to the United States. One student exclaimed, “I didn't want to leave my country. My parents decided to come here. I didn't have a choice.” Another asserted, “I miss my friends and school. I had to leave my grandparents behind.” A third student complained, “I eat lunch alone every day. I don't have any friends in this school.” Newcomers in this stage of culture shock need time and patience from their teachers. Integration Stage. At this stage, newcomers start to deal with the differences between the old and new cultures. They learn to integrate their own beliefs into their new environment and begin to find ways to exist with both cultures. Many immigrant parents become alarmed at this stage because they do not want their children to lose their primary language and culture, such as the Nakamuras in the next example. → The Nakamuras are a Japanese family with four children. They came to the United States for a five-year job-related stay. Because the nearest Japanese school was over an hour away, the children were enrolled in the local public school. Mr. and Mrs. Nakamura did not want their children to become “Americanized.” They did not allow them to socialize with classmates after school or join any school groups or clubs. The children were required to come home every day to complete a few hours of homework assigned by the Japanese Saturday School. Needless to say, the children never got past the integration stage, and they were never comfortable with American culture. Acceptance Stage. Newcomers are now able to enter and prosper in the mainstream culture. They accept both cultures and combine them into their lives. Some students will adopt the mainstream culture at school and follow the values of the home culture outside school. During this stage, many immigrant parents make it clear to their children that they do not want them to abandon their primary language and culture. Their concerns are valid, as demonstrated by the family in the following example. → Guadaloupe and Francisca, two sisters from Venezuela, feel pulled between American and Venezuelan cultures and are angry that their parents restrict them from participating in after-school social activities. Guadaloupe was not permitted to attend a school dance and Francisca was not allowed to go to a sleepover party. The girls are also losing their native language. When family members come from their home country, they can understand what is said in Spanish, but they can no longer speak the language. True or False?The more time students spend soaking up English in the mainstream classroom, the faster they will learn the language.FALSE. Students do not simply “soak up” language. Learners must understand the communication that is conveyed by their classmates and teachers. Comprehensible input is a hypothesis proposed by Stephen Krashen (1981) that is widely recognized by today's researchers and practitioners. He suggests that English language learners acquire language by hearing and understanding messages that are slightly above their current English language level. For example, an English language learner may understand the phrase “Put your book in your desk.” By slightly changing the phrase to “Put your book on the table,” the speaker scaffolds new information that increases the learner's language comprehension. To do this, the teacher must provide new material that builds on the learner's prior knowledge. When newcomers spend most of their day in a mainstream classroom, it is especially critical for them to receive comprehensible input from their teachers and classmates. If teachers use a lecture style for instruction, the English language learner will not receive as much comprehensible input. Research shows that English language learners need opportunities to practice language at their level of competency (Pica et al., 1989, 1996; Swain & Lapkin, 1995). When ELLs are able to refine their English skills with their English-speaking peers, this process is called comprehensible output. Many researchers assert that comprehensible output is nearly as important as comprehensible input. Cooperative learning groups are one way for newcomers to receive ample input and output. A small-group setting allows ELLs to have more comprehensible input because classmates modify or adapt the message to the listener's needs. There are more opportunities for oral practice and for repetition of information as peers help newcomers negotiate meaning. Student conversation in a small group is centered on what is actually happening at the moment as the task is completed. Feedback and correction for ELLs are nonjudgmental and immediate. In the next scenario, one history teacher's cooperative learning groups helped his ELLs soar. → English language learners in the 7th grade were placed in Mr. Garcia's American History class. He divided the class into cooperative learning groups and the ELLs blossomed. They were assigned tasks in their small groups that were at their level of English language ability. Many of these students felt that this was the first time they were really a part of the academic life of a content class. Mr. Garcia observed that his ELLs worked much harder in their content-area subjects so that they could be an active part of their group. True or False?Children who have the ability to memorize grammar rules and complete pages of grammar drills will learn to speak and write English more quickly.FALSE. Krashen (1988) makes an important distinction between language acquisition and language learning. Children acquire a second language through a subconscious process during which they are unaware of grammatical rules. This process is similar to how they acquire their first language. They get a feel for what is and what isn't correct. To acquire language, the learner needs a source of natural communication. Young students who are in the process of acquiring English can get on-the-job practice by communicating with their classmates. Language learning, on the other hand, is not communicative. This type of learning comes from direct instruction about the rules of language. Learners have conscious knowledge of the new language and can talk about what they know. They can memorize the rules of the language and perhaps succeed on a standardized test, but they still may not have strong speaking or writing skills. The next example shows how ELLs can perform in the classroom but fail to translate that success into English comprehension. → Yiming is a 4th grader who attended “cram” school in the evening. She learned to read and write by rote memorization. She could sound out words phonetically, fill in grammar pages, regurgitate information in English, and speak without an accent. With this kind of performance in the classroom, Yiming's parents were surprised when her teacher told them that her reading comprehension was low and her creative writing was unintelligible. True or False?Children learn a second language faster and more easily than teenagers and adults do.FALSE. This statement is more complex than it seems. In reviews of controlled research (Collier, 1988; Samway & McKeon, 1999) where young children were compared with teenagers and young adults, the teenagers and young adults learned a second language more readily. Children under the age of 8 may outperform adults in the areas of social language and pronunciation because they usually have more occasions to interact socially. The requirements for communication are lower for younger students because they have less language to learn when they interact in a school setting with their peers. Teenagers and adults, on the other hand, have acquired language learning and study skills. They use both acquisition and learning strategies to become fluent in their new language. Compare the English language learning of Priyanka and her younger brother, Nahir. → Seventeen-year-old Priyanka and 7-year-old Nahir arrived from India one year ago. Nahir speaks very fluent social English. His accent is near native. He has made an excellent social adjustment to his 1st grade class and has many friends from different backgrounds. Because he had just begun learning how to read in his native country, he has limited language literacy skills in his first language. Despite his fluent social English, he is experiencing difficulty reading and writing in English and is not doing well in his content-area work. Priyanka, on the other hand, is shy and does not speak much. She has only a few friends and they all speak Gujarati, one of the major languages spoken in India and Pakistan. Her spoken English is heavily accented. Priyanka was an excellent student in India, and she continues to study diligently. She is very successful in her academic studies in the United States and is receiving good grades. True or False?The emotional state of the learner doesn't interfere with the acquisition of a new language. As long as ELLs receive comprehensible output, they will learn English.FALSE. Although comprehensible input is necessary for language acquisition, it is not sufficient by itself. The learner's emotional state or affective filter can interfere with acquiring a new language because it involves public practice and speaking in front of others. These skills require that the learner take a risk. This risk can produce embarrassment and anxiety that can block the learner's ability to process new information (Krashen, 1981; Krashen & Terrell, 1983). To counteract students' affective filter, classroom teachers can create an effective learning environment for ELLs that helps them integrate into the life of the school. They can provide a classroom experience that is nonthreatening and demonstrate to their students that they understand their needs. The key is to make ELLs feel welcome and comfortable so that their affective filter does not impede their learning. In the next example, Ms. Lautz helps one of her ELL students become acclimated to the school environment. → Ms. Lautz immediately pairs her new English language learner with a buddy and encourages her students to become friends with him. She arranges for classmates to stay with the newcomer at lunch, hang around with him on the playground, and help him on the school bus. She also encourages her ELL to participate in extracurricular activities such as sports and music programs. True or False?Students should be strongly encouraged to speak English from the first day.FALSE. Most new English language learners will go through a silent period during which they are unable or unwilling to communicate orally in the new language. This stage may last for a few days to more than a year, depending on a variety of factors. The silent period occurs before ELLs are ready to produce oral language and is generally referred to as the preproduction stage of language learning. ELLs should not be forced to speak before they are ready. Teachers shouldn't embarrass these students by putting them on the spot. ELLs need time to listen to others speak, to digest what they hear, to develop receptive vocabulary, and to observe their classmates' interactions. This silent behavior does not mean that students are not learning; however, it may be that they are not ready to speak. Teacher instruction is an important factor in how long the silent period lasts. If the teacher provides hands-on activities and encourages students to interact in small groups, ELLs will be able to participate in the classroom sooner and be more confident about speaking with their peers. Teachers should not assume that young ELLs would not be embarrassed or shy when attempting to speak a second language. Another factor that may influence the length of the silent period is the child's personality. If the child is shy or self-conscious, he or she may be reluctant to speak. On the other hand, an outgoing child will speak more readily and will advance more quickly from preproduction to early production. There are also cultural factors to consider. Students, like Arlana in the next example, do not like to make mistakes and will not speak until they have a good grasp of the language. → Arlana, a Muslim student from Lebanon, is in the 2nd grade. She has frustrated every teacher she has worked with since kindergarten. She rarely speaks in English and she has been in school in the United States since the age of 3. When she does respond to her teacher's questions, she whispers. She doesn't talk much to classmates and spends most of her time outside school with family and other Muslim children. Arlana understands oral directions, and she reads and writes on the 2nd grade level. Nothing her teachers have done has made her comfortable about expressing herself orally. Her teachers encouraged her parents to arrange play dates for Arlana with her native English-speaking peers. Her parents were also encouraged to seek professional help for Arlana, but the family moved at the end of 2nd grade and her teachers never saw a resolution to her reticence to speak. Although this is an extreme example, girls from some cultural backgrounds are not encouraged to speak. Being very quiet in the classroom is often viewed as culturally appropriate behavior for girls. Native language also plays a role in students' willingness to talk. If the sound systems between their native and second language are similar, students will usually speak earlier. Differences in language styles among social classes also influence how quickly students speak. Urban middle-class parents tend to speak more, teach verbally, and give oral instructions to even very young children. Newcomers from less industrialized countries teach their children by showing them what to do. They are less likely to verbalize their instructions. Should mainstream educators know the factors that affect second-language acquisition? If the above beliefs are not dispelled, educators cannot provide an optimum learning environment for English language learners with rich language acquisition opportunities and supportive teachers and classmates. A newcomer who exhibits disruptive or odd behavior may be suffering from culture shock. English language learners need comprehensible input. They cannot learn English by “soaking up” language in a mainstream classroom. To acquire a new language, children need a source of natural communication. Memorizing grammar rules will not help them learn to speak and write English quickly. Children do not learn a second language faster and easier than adults. Their only advantage is in pronunciation. The emotional state of English language learners affects how they acquire a new language. ELLs need a comfortable environment in which to learn. Newcomers will go through a silent period during which they will not speak. They should not be forced to speak until they are ready. In this first chapter, we looked at six beliefs about second-language acquisition and explored the key concepts that disprove these beliefs. We examined the concepts of culture shock, comprehensible input and output, language acquisition and learning, age differences, the affective filter, and the silent period. Implications for teachers' instruction were also discussed. Each concept was illustrated with a classroom scenario. Copyright © 2007 by Association for Supervision and Curriculum Development. All rights reserved. No part of this publication—including the drawings, graphs, illustrations, or chapters, except for brief quotations in critical reviews or articles—may be reproduced or transmitted in any form or by any means, electronic or mechanical, including photocopy, recording, or any information storage and retrieval system, without permission from ASCD.